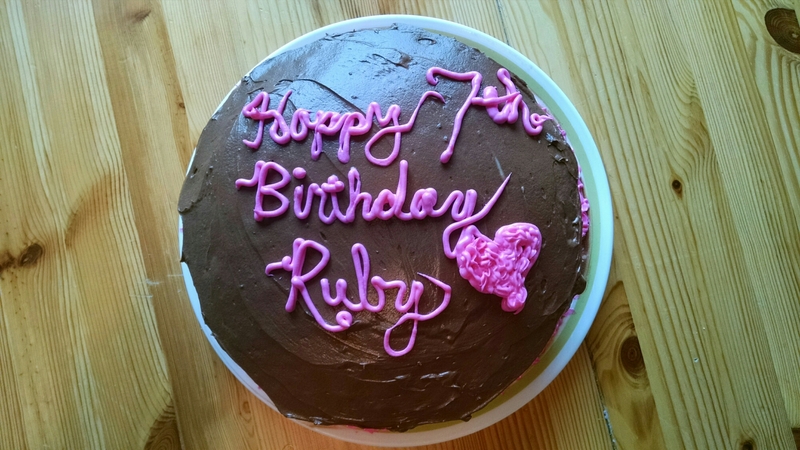 As we sat down for Ruby’s birthday dinner tonight, we went around the table sharing one thing we each love about our 7-year-old princess. Kristine said she loves Ruby’s always happy attitude. I said I love her sense of humor. When we got to Henry, well, there was a bit of an awkward silence. After some prodding, he said he appreciated that Ruby shared a piece of candy with him earlier in the day. Henry loves his little sister more than he lets on. Despite his momentary lapse over dinner, he made sure today was a special day for her. 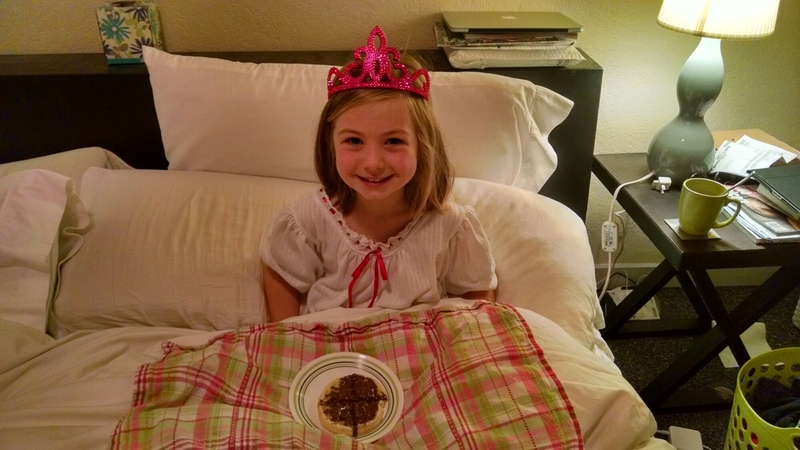 And it most certainly was – from breakfast in bed to the amazing chocolate cake that Kristine baked. Happy birthday, little girl. We love you more. 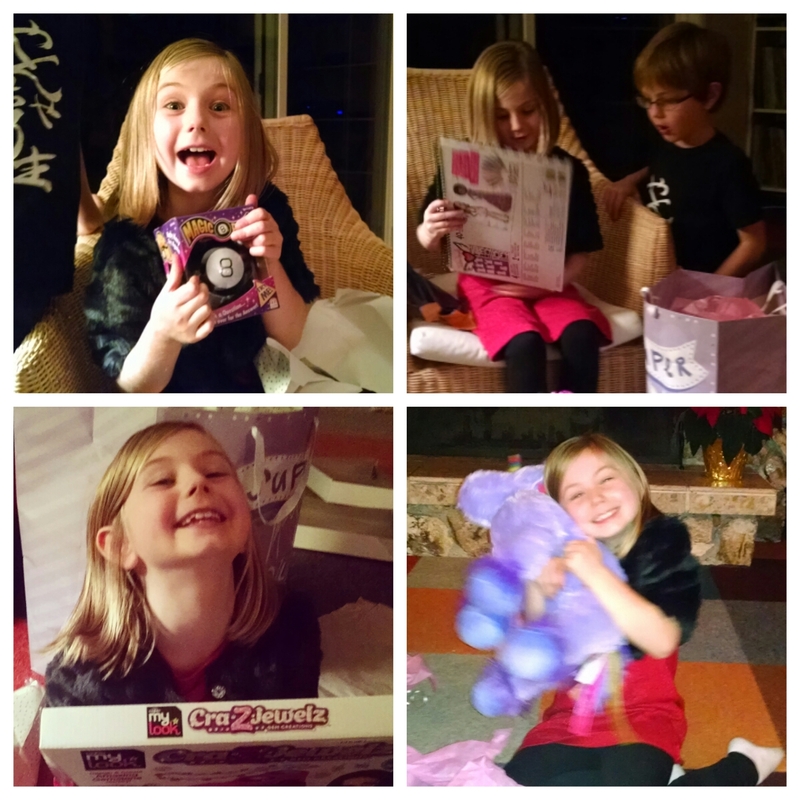 Another sweet peek at Fry family fun! Tim, you and Kristine are great parents to cherish these special childhood moments.